Summer is always the busiest season for comprehensive air conditioning services. 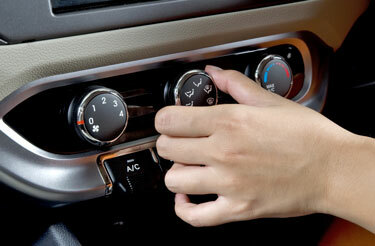 Don’t wait until the hottest day of the year to get your vehicle’s A/C serviced. Instead schedule an appointment to bring your vehicle in today so it is in tip top shape when the weather turns from rainy to sweltering. Whether your vehicle is in need of A/C diagnostic, recharge, repair or rebuild services Ron’s Auto and RV Repair is your trusted A/C service provider for the Vancouver, Battleground and surrounding areas. We are licensed in the state of Washington to work with Freon and AC units which is required by law in order to provide this service. All of our air-conditioning services are environmentally sensitive and we also utilize special equipment to minimize Freon emissions. The certified auto air conditioning specialists with Ron’s Auto and RV have the expertise to provide comprehensive air conditioning services on cars, trucks, buses and RVs. Our A/C recharge and A/C diagnostic services can be done while you wait, with all other AC services usually completed within 24 hours. AC Recharge – Our AC recharge service includes extracting the old refrigerant then replacing it with new refrigerant to maximize cooling efficiency. AC Inspection and Diagnosis – This service takes approximately 30 minutes in order to perform a comprehensive visual inspection, then diagnostic testing to determine the specific problem with your air conditioning unit. Most issues can be resolved within 24 hours. 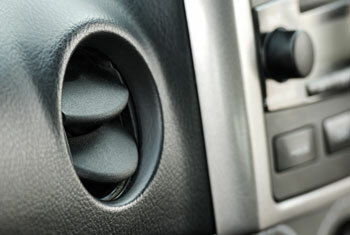 AC Repair – Unfortunately, there are times when vehicle air conditioners encounter problems and require repairs. We understand how bothersome AC repairs can be and the certified professionals with Ron’s Auto and RV Repair are capable of resolving your repair needs quickly and efficiently. AC Rebuild – Sometimes vehicle air conditioners can completely fail. When this happens buying a new one is not your only option. The air conditioning specialists with Ron’s Auto and RV Repair can rebuild your faulty A/C and have it running good as new in no time. We invite you to call us for vehicle air conditioning solutions before the heat sets in! Contact us through our website or directly for more information. Don’t let the heat get the best of you, schedule your vehicle AC service today! What’s Involved in Auto A/C Repair? The mechanics at Ron’s Auto and RV of Vancouver will expertly repair your faulty A/C system. Repairs vary depending on what part of your system is malfunctioning. Often repairs on auto A/C units are replacements of seals, hoses, condensers, evaporators, compressors, valves and blower motors. If you feel your vehicle’s air conditioning may need to be serviced, recharged or repaired give us a call to speak to a technician.